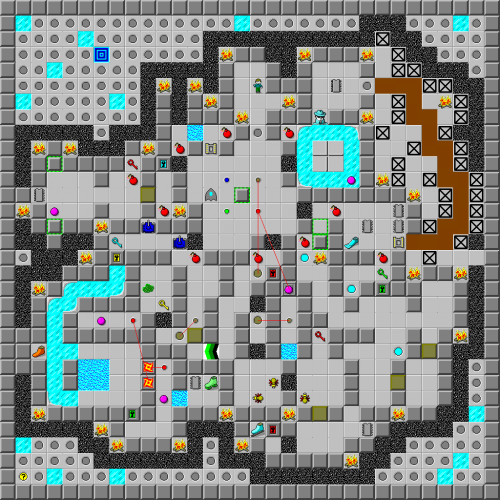 Strandquist - The Chip's Challenge Wiki - The Chip's Challenge Database that anyone can edit! 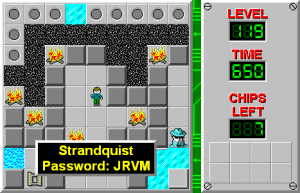 Strandquist is the 119th level in Chip's Challenge Level Pack 4. It contains the last secret hint with a password, VSVA. Entering this password will skip to level 145, Hacked Save File - the first of the five secret levels.